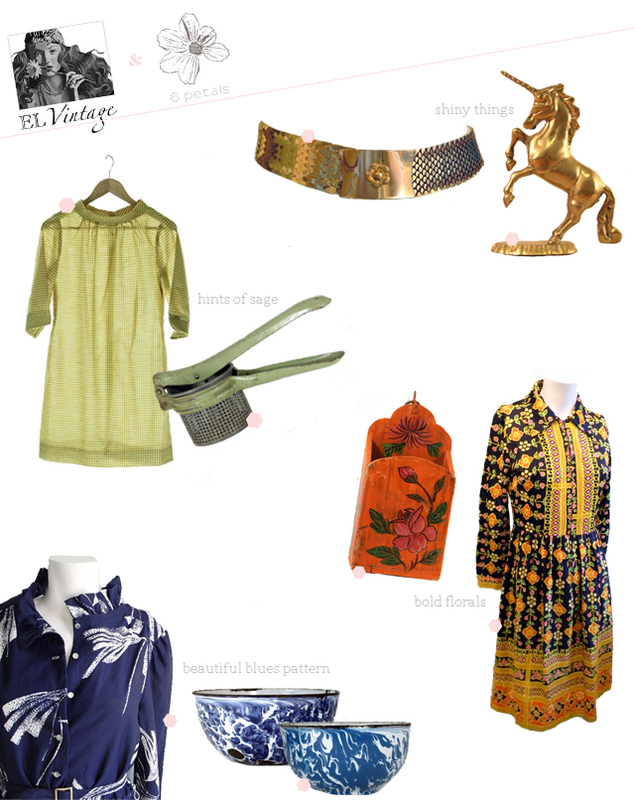 Emily of EL Vintage asked me to collaborate on a fun guest post. A while back I paired vintage goods with beautiful clothing. I'm surprised how well some of our items paired up together in terms of color and texture. You can say hello to Emily at her blog or shop.